Burger King announced a new burger today, and it looks a lot like a certain, already-existing burger. With a name like "the Double Quarter Pound King Sandwich," you can probably guess what the Double Quarter Pound King Sandwich is, but for clarity's sake, the King's latest thing is constructed from two beef patties, American cheese, sliced onions, pickles and ketchup, all on—what else?—a toasted sesame seed bun. If you're thinking that this sounds a lot like a Double Quarter Pounder with cheese from McDonald's, know that you can trust your judgment here. None other than Burger King itself all-but-identified the internationally available burger-topped burger product it's taking aim at in a statement that says: "We’d like to offer our deepest condolences to all the flat-top fried double quarter pound burgers out there. We’re flame-grilling the competition." 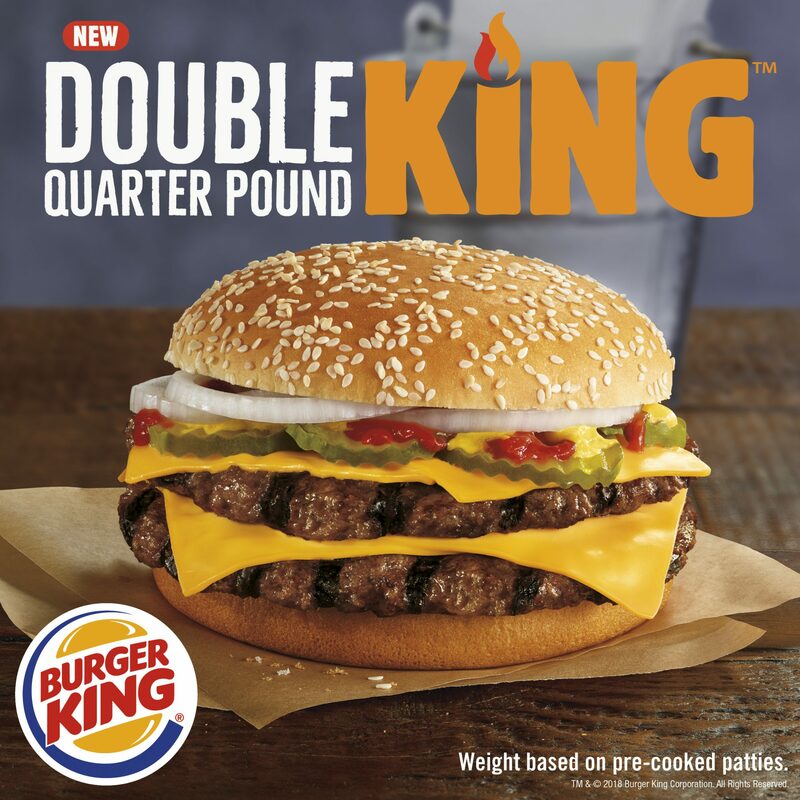 Do you want to know what makes the Double Quarter Pound King Sandwich different from McDonald's Double Quarter Pounder with Cheese? Well, get your notepads out, because it's very specific. BK's version has 900 calories and 54 grams of fat, while Mickey D's take has but 770 calories and 45 grams of fat. The new King burger also differentiates itself from Burger King's own Double Whopper by forgoing lettuce, tomato and mayonnaise, meaning there are now that many more choices to make at Burger King. Costing $5.39, it's a bit more than anything on McDonald's new $1-$2-$3 dollar menu, which has won plaudits from Chrissy Teigen and Wall Street alike. But when you're an absolute burger monarch like the Burger King King, it seems you can do whatever you want, burgerwise. With the fast food battles heating up to include price battles, social media feuds and these, it's like some kind of fast-food Hunger Games out there. 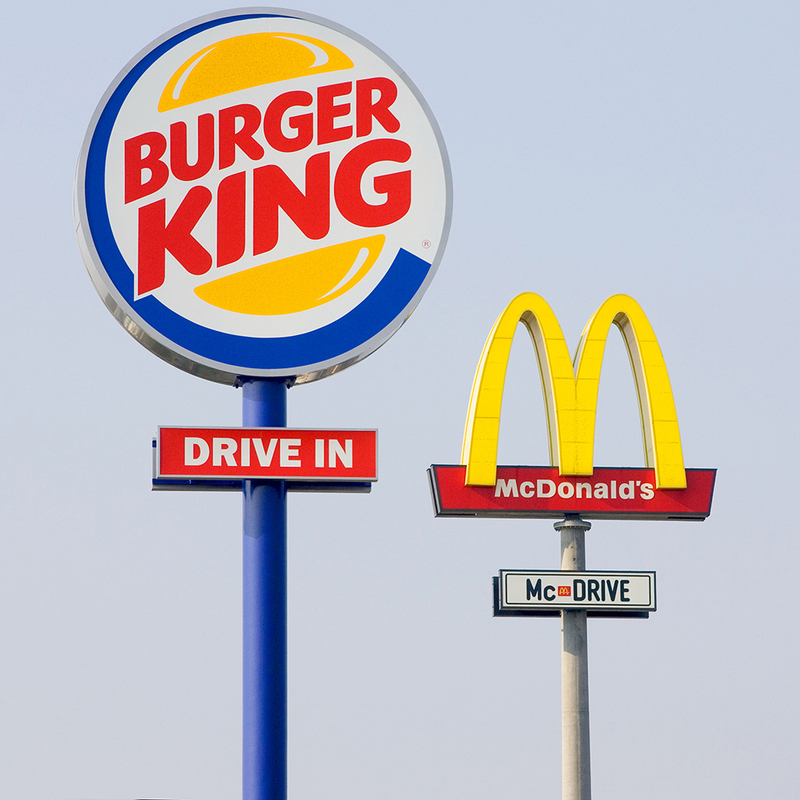 Will McDonald's and Burger King Make Peace with the McWhopper?